The Leopold Center for Sustainable Agriculture in 2018 honored an agricultural policymaker and a conservation-minded farmer with the Spencer Award. Read about past recipients of the Spencer Award since 2002. The Spencer Award honors the beliefs, innovations and stewardship of Norman and Margaretha Spencer, who farmed near Sioux City for 40 years. It serves as a lasting memorial to the Spencers, who believed that it is the obligation of each generation to leave the world a better and healtheir place for the next generation. The award was established in 2001 by an endowment from the Spencer family, and is administered by the Leopold Center for Sustainable Agriculture at Iowa State University. The award includes a $1,000 cash prize. 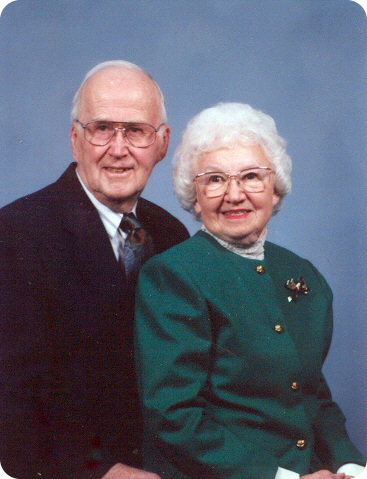 Read a tribute to Norm and Margaretha Spencer [PDF].